I talk a lot about how I don’t create any of these recipes on my own but collect and test them. I suppose the closest I have come to doing it on my own is be trying to recreate something I had in a restaurant. 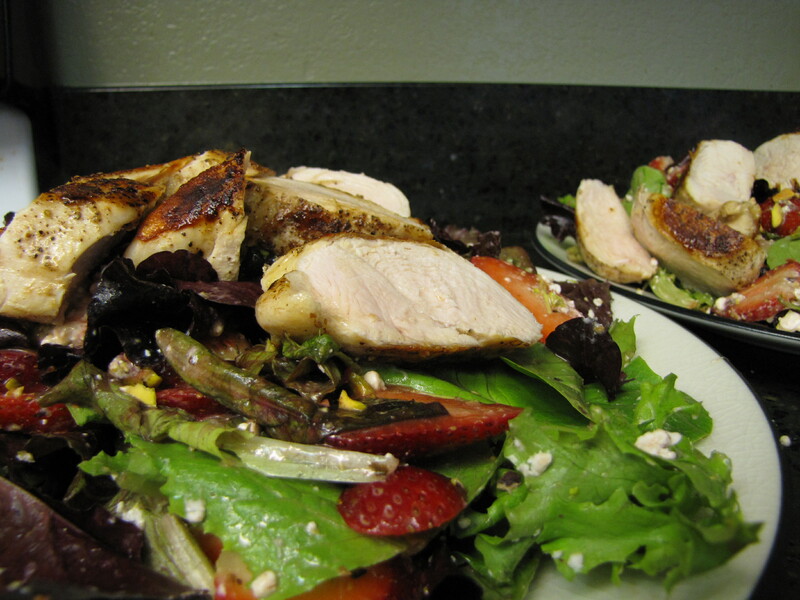 That’s how I came up with my Turkey Pesto Sandwiches and also this salad. 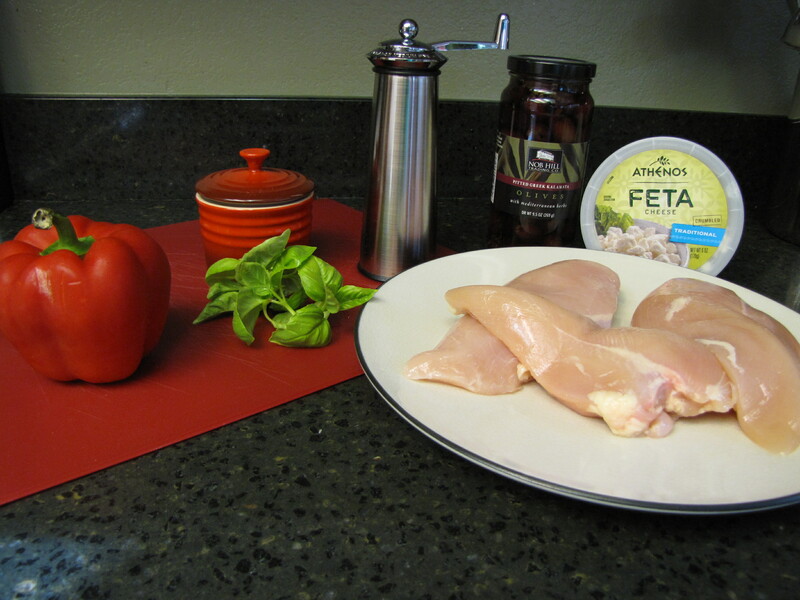 There is nothing to cook here besides the chicken but the combination of ingredients in this salad is so good, I have to share. I am on the lookout for the perfect low-cal balsamic vinaigrette recipe, until I find it, I just use a jar of whatever is on sale. I guess the rest is obvious, combine it all in a large bowl and toss. This makes a very easy dinner or refreshing lunch, with strawberries on sale everywhere, you should try it today! This recipe was a new one, it is from the latest issue of cooking light. The chicken is moist and delicious but my favorite part was the stuffing which I think would make a great spread on a toasted baguette or even tossed with baby greens and a little olive oil. 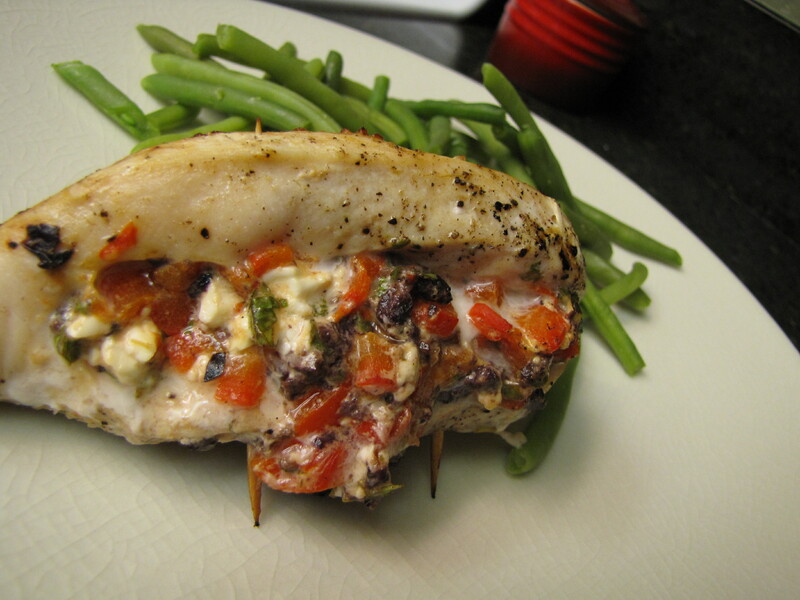 At only 210 calories per stuffed chicken breast, make sure you save room for dessert! Preheat broiler. Cut bell pepper in half lengthwise, discard seeds and membranes. 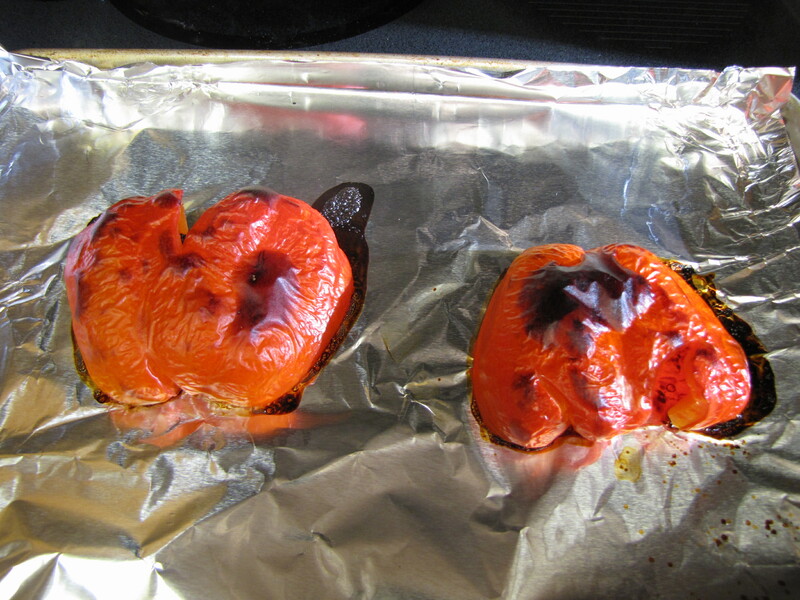 Place pepper halves, skin side up on a foil covered baking sheet. Flatten with hand, broil 15 minutes or until blackened. 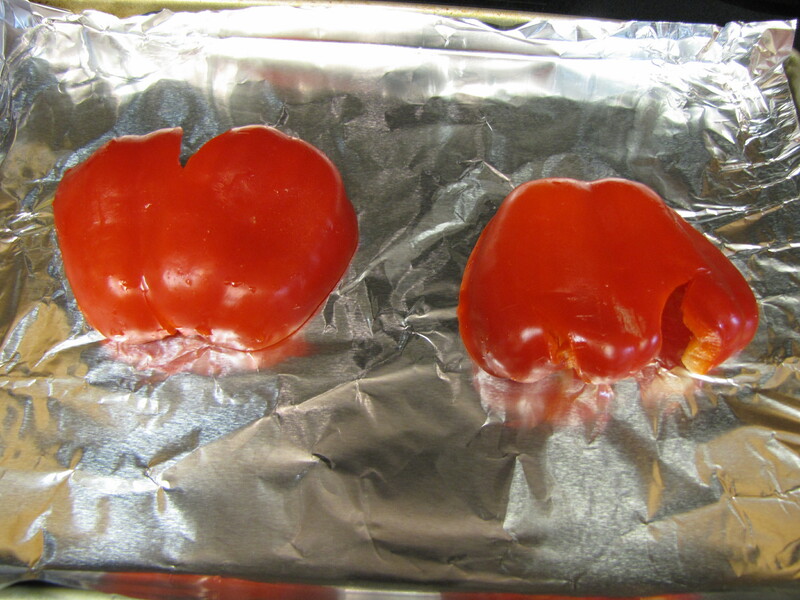 Place bell pepper in a ziplock bag, seal and let stand for 15 minutes. Peel and finely chop. Prepare grill to medium high heat. 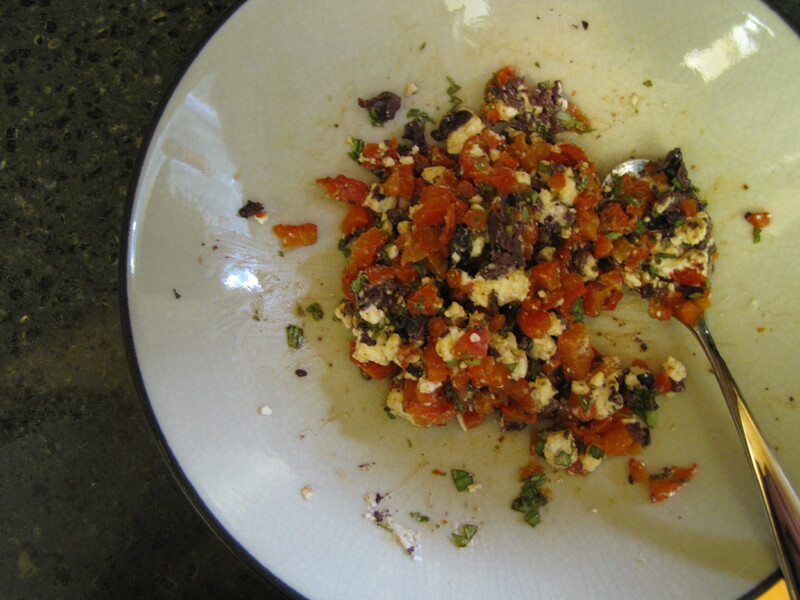 Combine bell peppers, cheese, olives, and basil. 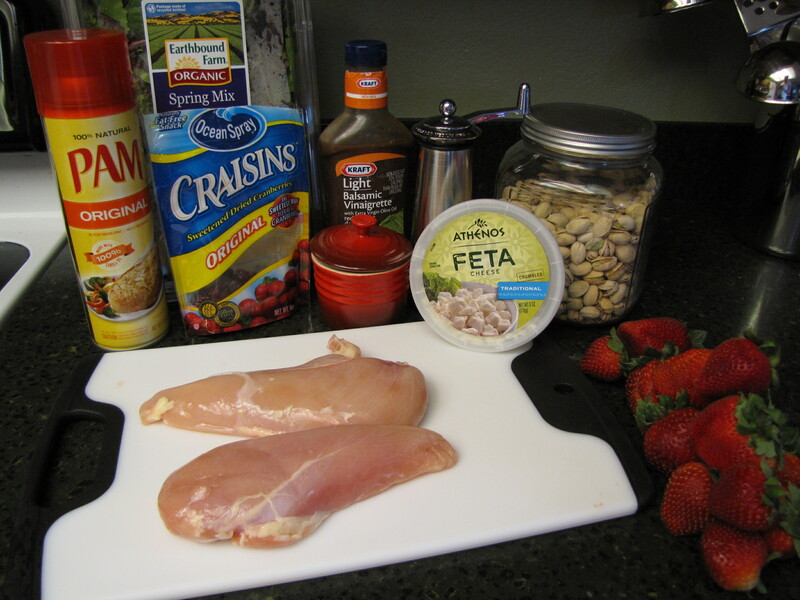 Cut a horizontal slit through thickest portion of each chicken breast to form a pocket. Stuff 2 tablespoons of bell pepper mixture into each pocket and close opening with a toothpick. Sprinkle chicken with salt and pepper. Place chicken on grill coated with cooking spray. Grill 6 minutes on each side or until done. 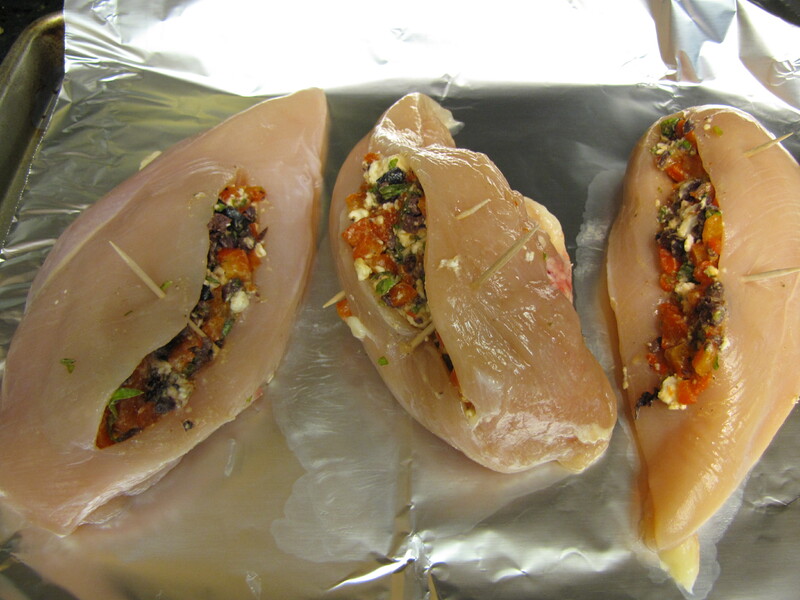 Remove from grill, cover loosely with foil, let stand 10 minutes.